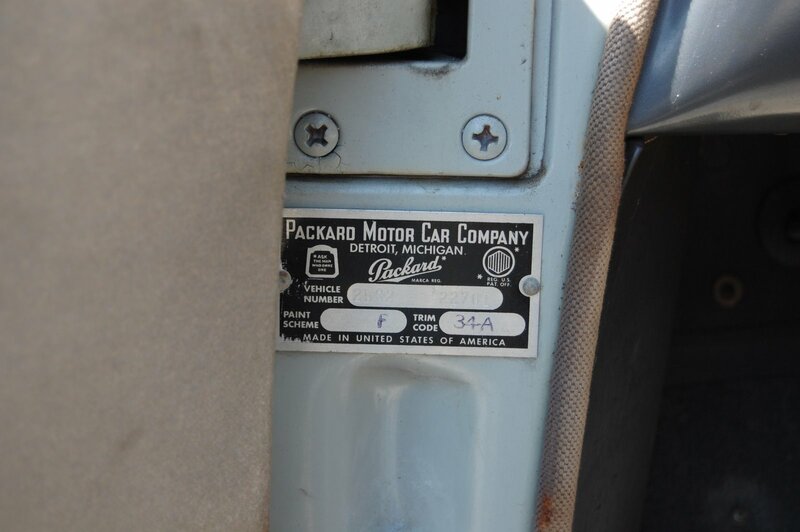 While I don’t intend by any means to start posting American cars on this blog, I felt this find was interesting enough despite the vehicles country of origin. 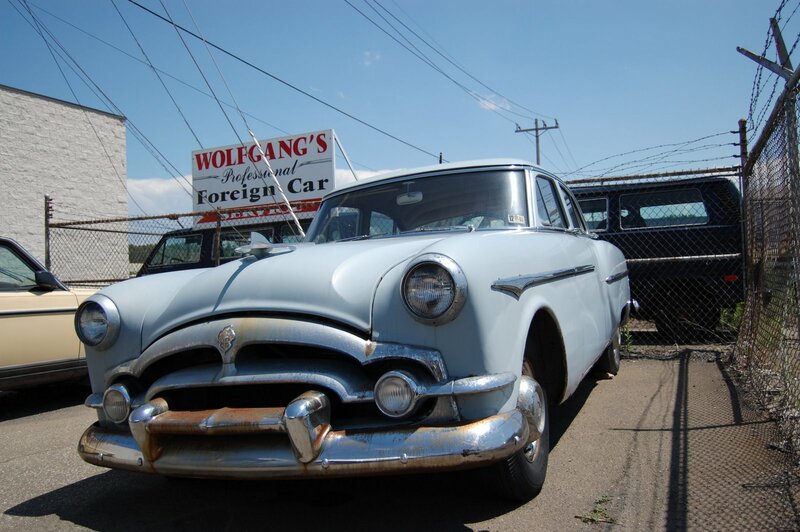 When you approach a business called “Wolfgang’s Professional Foreign Car Service”, you probably won’t expect to see a circa 1953 Packard Clipper parked below the sign. How this marvelously over-styled middle-class sedan made by an upper-class American car company which no longer exists came to rest at a foreign car shop owned by a German fellow is a story which I feel is best left untold – just because of the sheer strangeness of it all. This Clipper is an amazing piece of work really. One of the last examples of half-way decent American car craftsmanship, albeit a little absurd in its shameless waste of raw materials and space for what was essentially an ‘entry level’ car for Packard. When I finally opened the door to this car out of curiosity last week, i was surprised to find a clutch pedal. It sports a 3-speed manual on the column. It has no radio, basic cloth bench seats, and I reckon the interior space is large enough to be worth about 2 million dollars if it were converted to apartment space in Manhattan. All in all, this car is very intact and probably rather easily restorable. It did run when parked according Wolfgang, and was last registered in 2001.